The Ultiworld Holiday Gift Guide is back! For those of you that don’t mind the stress of shopping, or for those that are looking for some guidance, the Ultiworld Holiday Gift Guide is back in 2014 to provide you with the inside scoop on some fun ideas for the Ultimate player in your life. We can be a fickle and particular bunch — there’s the weird affinity for brightly colored shorts that stretch over your head, the staggering array of foam rollers, lacrosse balls, and other torture devices for the pregame SMR1, and the fierce brand loyalty towards companies that make cleats for other sports. So without further ado, let’s get to window shopping. Sometimes it’s a long walk from the car to the fields and dragging a camp chair is untenable. Enter the REI Trail Stool. Easily clipped to a backpack or slipped inside a larger duffel, this lightweight stool will give you respite from all that standing. Most importantly, it’s an easy solve for a place to sit while you take your cleats on and off. Take it from me — I poach my co-captain’s stool all the time. 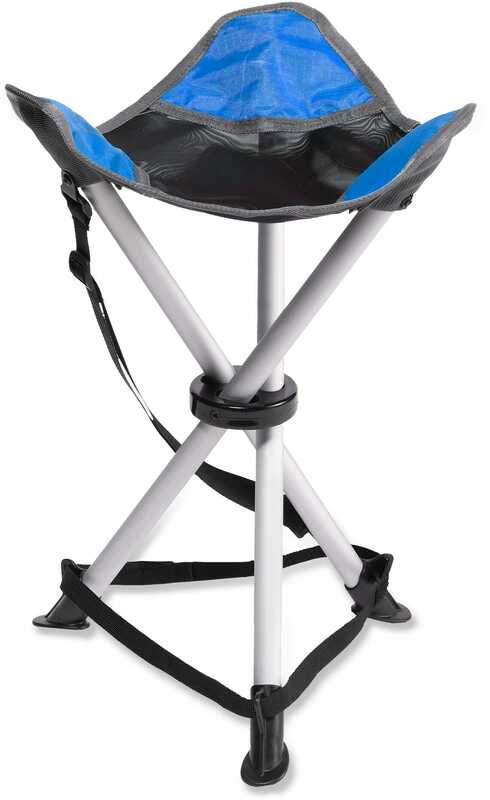 At a reasonable $22.50, the Trail Stool is a great hack for those who needs just a little more comfort on the sidelines and aren’t looking to bring out one of those big folding chair benches. Travel is a part of Ultimate. Being prepared to sleep anywhere comes with the territory. Maybe the couch cushions are sewn in and you can’t make a makeshift bed — maybe there’s no couch! 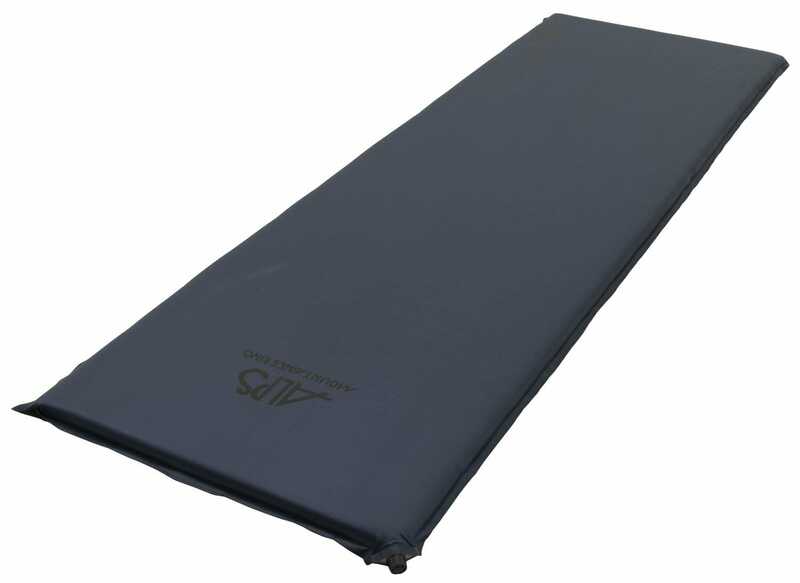 For the Ultimate player on a budget, a sleeping pad is an easily packed, must have item that can turn a lack of bed space into a discount for everyone staying in the room. Couple it with a backpack and a folded up hoodie for a pillow and you’ve got…the majority of my college Ultimate career. Face it, that queen size air mattress probably won’t fit in the trunk and will definitely force you to check a bag at the airport. Time to slim down and travel with a bit more convenience. It’s still surprising to me now that this heavy round ball, which left me so many bruises as a defender on my high school’s JV lacrosse team, can relieve such great stress. And yet, there’s been quite a revolution (across many sports) in the training industry that encourages everyone to take time to grind out knots and sore spots. Last year, we recommended the foam roller; this year, take it a step further and really show those knots who’s boss. 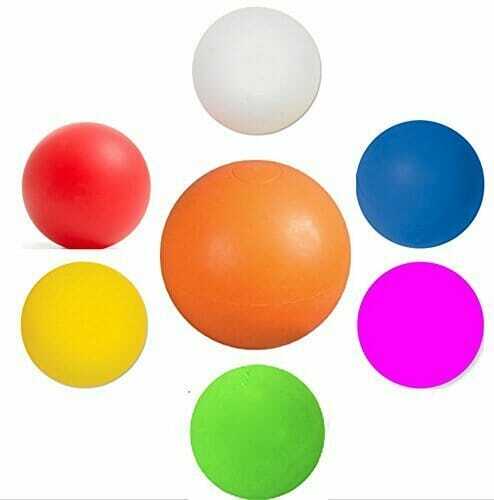 With a variety of colors to chose from, grab a few and surprise that special disc-chasing someone with a set of these rubberized instruments of pain that will lay your tight calves to ruin. Where lacrosse balls and foam rollers will continue to keep players loose and pain free, this unique fitness tool is a great addition to any bar-related training. Think of them as a hack for your normal barbell exercises or chinup bar. 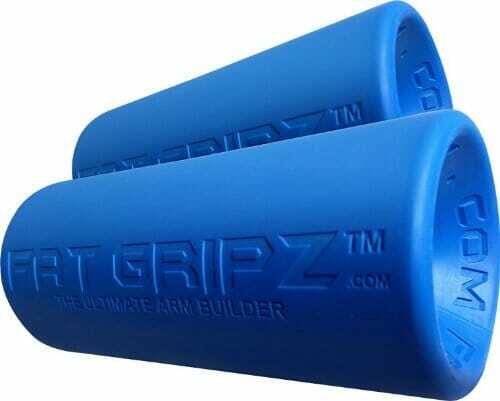 Fat Gripz focus on building grip strength — an undeniably important facet of Ultimate fitness — increasing the relative thickness of any bar and forcing hand and wrist muscles to exert extra energy during the peak of your lift. That extra squeeze at the top of the chin up? Fat Gripz will take care of that for you. We have exponentially more game tape available as Ultimate players than we did just a couple of years ago. From ESPN3 to Ultiworld, we’re well on our way to a new era of analysis and entertainment. But it’s all online! You need a way to watch on your television. That’s why I’m recommending any and all Mac users have the right proprietary cord to plug their laptop into a big screen. 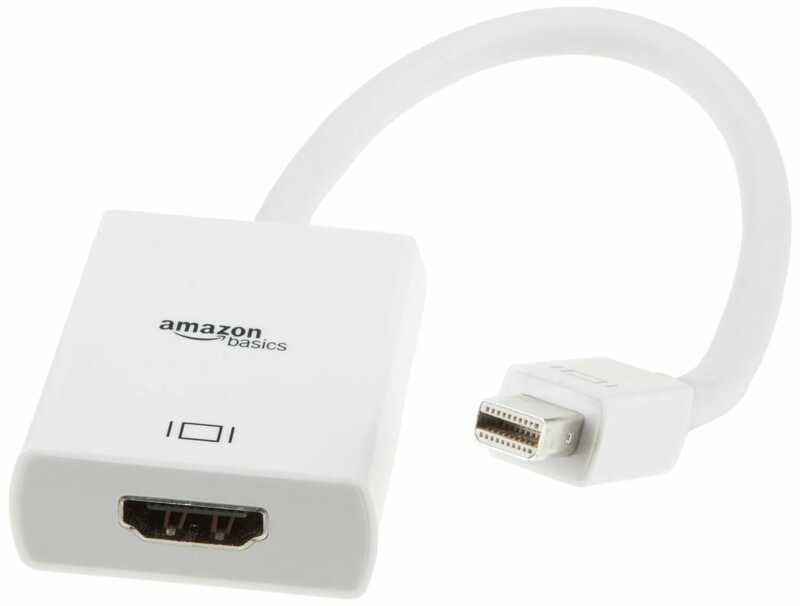 Apple makes great computers, but they have a knack for making us buy extra stuff, and this baby is the key to watching all those videos on a much larger screen. It’s made a huge difference in watching tape at my house and is an easy fix. Plus, it’s a great way to watch movies that you’ve got stored away on your computer. Of course, not everyone has taken the OSX plunge, and lucky you! No need to pick up the adapter for Apple’s weird mini-ports. Just grab an HDMI, plug in, and watch. Make sure to check the back of your TV before you buy — newer models tech will allow for the HDMI hookup, but older may require a VGA. With the laptop hooked up to the TV, any game tape-crazed player will quickly work their way through the available free content. And yes, we needed a chance to toss in a shameless plug. Subscriber access to Ultiworld’s video content is and will continue to be one of the best ways to watch your favorite teams (rivals or role models) as they compete and develop over the course of the season. Fans will get a chance to relive each bit of excitement our video crew catches on film, coaches and captains will be able to use our coverage as a chance to scout rivals, and young players will get a front row seat to watch some of the best in the College Division take the field. Video is an incredible teaching tool — an excellent option for any Ultimate player looking to improve his or her game. Be the most popular person your team. 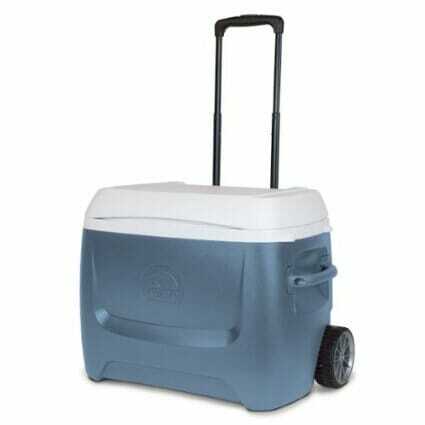 A cooler with wheels will go just about all the places as you go as a traveling player (warning: do not try to check at the airport [editor’s note: I have successfully checked a rolling cooler on a plane. You do get some weird looks.]). And what does that mean for you and your teammates? Cold drinks, of course! Whether you’re stocking ice cold water and Gatorade for your next competitive tournament or a full rack of beer adult sodas at Wildwood, having your drinks stay cool and move as easily in between fields is a luxury you won’t soon give up. If you’re me, you also want the cooler because it takes up trunk space and forces those teammates that think they can over-pack to leave the extra sleeping bag at home. Have you ever heard someone complain about having to unscrew the top of their Nalgene every time they come off the field? Have you seen a friend fumbling with a straw or replacement top on a fancy insulated water bottle? Gatorade’s squeeze bottle is a cheap and handy gift option. The gold standard across professional sports, the Gatorade squeeze bottle costs less than half of a Nalgene and is frankly a way easier option. No spout to pull up with your teeth — just tilt and squeeze. Doesn’t leak either. At the very least, we have to recommend checking this out as a gift idea, because the top review on Amazon is an absolute hoot. Keep writing John L. Rudenauer — that stuff is gold. Okay, okay — you got me. Time for just a little more Ultiworld self-promotion. But why not?! 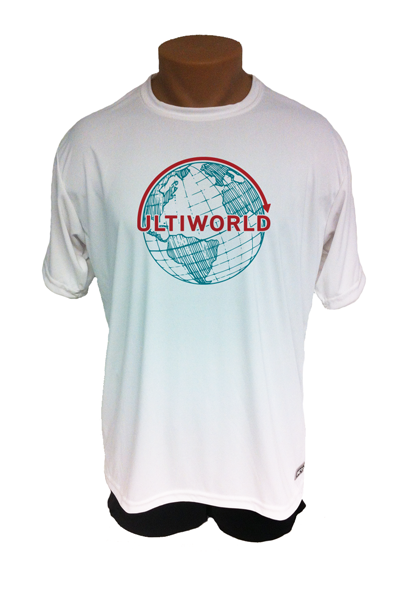 The Ultiworld jersey from our official apparel partner VC Ultimate is a great look; they also have great gift options for the voracious Ultimate consumer. Our staff continues to hustle around tournaments in the spot-subbed jersey with our original design, but our corner of the VC store offers longsleeves, tank tops, full-subs and more for any kind of weather or preference in style. Five’s answer to the popular Patagonia shorts that have been swish-swishing their way all over Ultimate these last few years. Five claims that Triton’s don’t absorb water and that their weight will barely be noticeable to the player wearing them. Sometimes for the Ultimate player who has everything, you need to opt for something they just haven’t had the chance to get yet, and Five’s Triton shorts are fresh from the factory (just released during the Thanksgiving holiday). Five has also continued to release a dizzying array of fully sublimated shorts. One thing’s for sure, if the person you’re shopping for is into that kind of stuff, they’re going to love just about anything. If this special player is seen mostly wearing solid, primary colors…well, the full-subs may be a stay away. 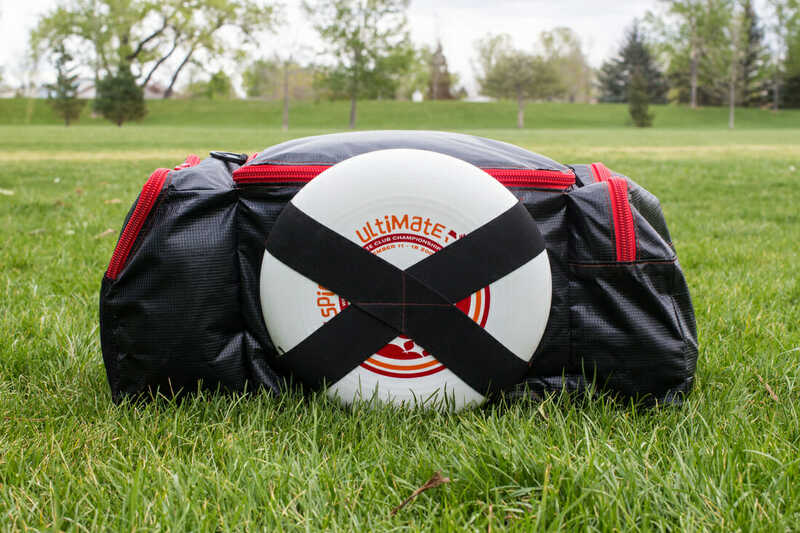 Following the trend of FUPBUP (For Ultimate Players, By Ultimate Players), Ultiworld’s Preston Thompson took on a review of the recent Kickstart’d tournament bag, the Heckler. Check out his review here. Pre-order a bag, here. If you’re looking for a gift with both Ultimate and Made-in-the-USA cachet, this is a gift worth pursuing. If you’ve made it this far without a cappuccino or stopping for those pretzel nuggets you know you shouldn’t eat, you’ve done better than I have — I need the caffeine to stay focused on the perfect gift. I know, it’s a problem. It’s been a pleasure walking through this online mall with you. From everyone here at Ultiworld, we wish you the best of luck in your last-minute holiday shopping and all the cheer your could possibly pack into The Heckler. Purchasing products linked above on Amazon helps support Ultiworld through affiliate links. 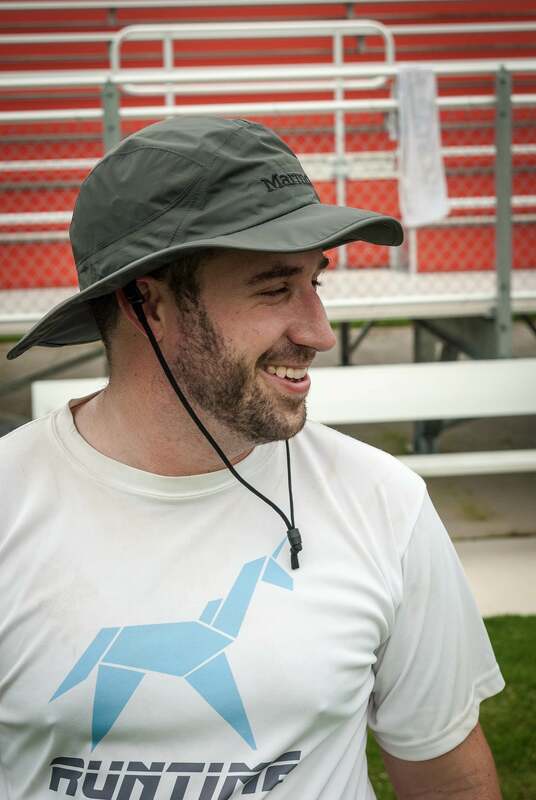 Comments on "The 2014 Ultiworld Holiday Gift Guide"